Ethan laced up a new wheelset and some proper street lines to going along with ’em. Center rib to increase strength. Cross-lace pattern for additional lateral strength. Hard anodized & Chrome finishes. Hit play to watch Chad drop in on some serious pool wizardry. 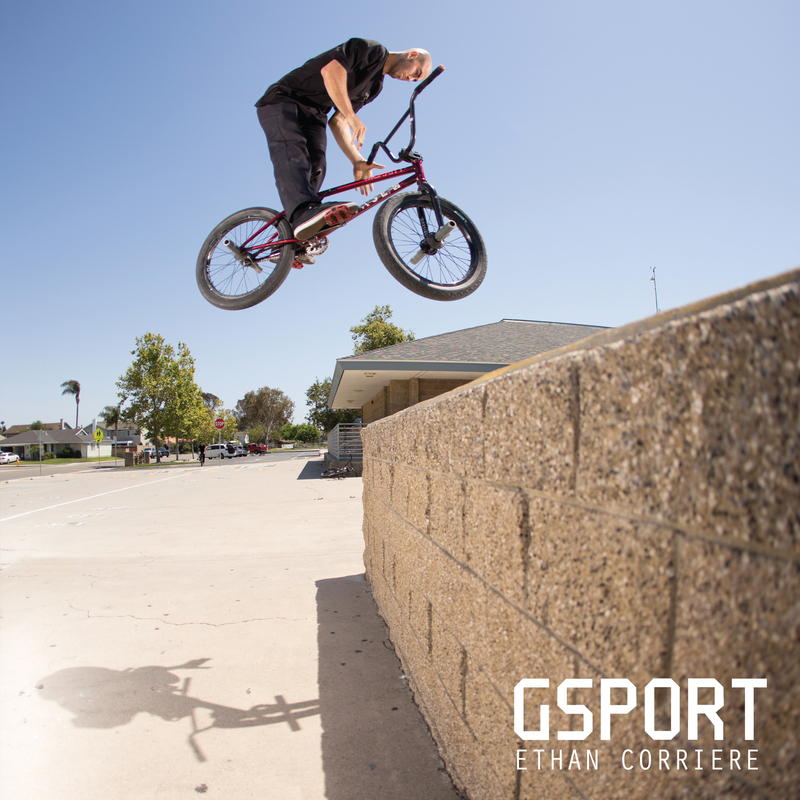 We’re happy to announce that Ethan Corriere is now part of Gsport. Coming out of Huntington Beach, CA; Ethan is high energy, always smiling and undeniable on a bike. You can now catch him killing it on our rims. Hit play to learn a little more about Van and hear some behind the scenes commentary about some of his legendary video parts. Shout out to Mike for many years of repping G-Sport. You’ll be missed! Ever wanted to learn a little more about the history of GSport? Well, Ride On has you covered. This three part video series covers everything from George’s first desire to start a BMX company, all the way to what he’s up to today.